Forget RPGs, action games or even a broken if decent adventure series. 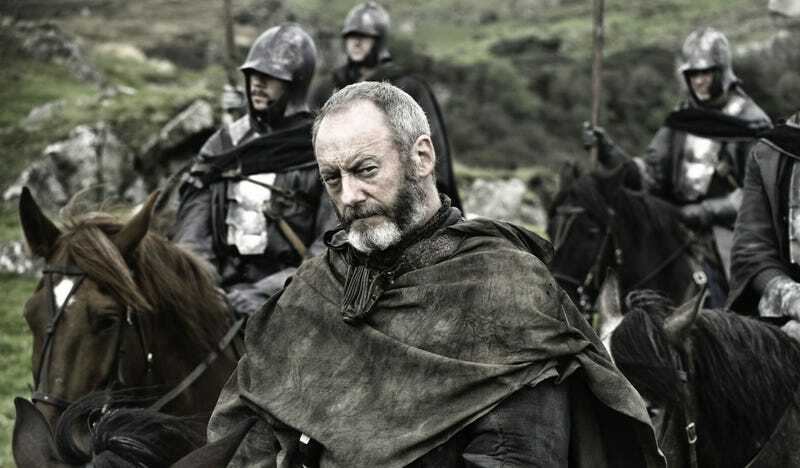 The perfect Game of Thrones video game is a mod for a 2012 strategy game on the PC. I mentioned in my review of Crusader Kings II a few years back that the systems put in place by developers Paradox seemed ideally suited to George R R Martin’s fantasy universe. While there are larger things going on like Kingdoms falling and wars being fought, CKII places just as much importance on the more personal side of feudal rule: marriage, politics, alliances and back-stabbing. Which just so happens to b the same blending of the big and small picture that that makes GoT that much more appealing to a wider audience than your standard fantasy tale. So it was only a matter of time before the two were brought together. A Game Of Thrones is a total conversion mod for Crusader Kings II that replaces the game’s map, factions, characters and even some systems with those of George R R Martin’s fantasy universe. Beginning at various points in the history of Westeros (players can choose from a few key starting points), CKII:GoT lets you play as any title-holder in Westeros. And I do mean any. The mod team has certainly done their research, as going beyond the big names like Aerys, Robert and Ned Stark are hundreds of lesser lords and officials, some featuring as characters in the books/TV show, others only mentioned briefly or in passing. What does this mean? Everything I said about the main game in my review applies here, only everything I loved about CKII is now magnified, because I’m not playing as some random English Duke, I can play as Ned Stark. Walder Frey is there, and he has 100 kids, and they can all be married off to unsuspecting husbands/wives/victims. Even The Wall and the Night’s Watch are there. Originally released in 2012, and covering only the land of Westeros itself, the mod has since grown to include all the auxiliary information contained in the World of Ice & Fire guide books, and more impressively it also now includes Essos as well. There are scenarios (basically custom starting points) to kick off from as well, ranging from the forging of the Seven Kingdoms themselves through to the events of A Feast For Crows. Honestly, it’s worth a download just to use it as an interactive Game of Thrones encyclopaedia, clicking through the family trees and lineages and histories not only learning about the world, but admiring the amount of work that’s gone into this mod. In terms of what it adds or changes to the vanilla CKII, there’s nothing too different. There’s a new war system in place to better handle the nature of the conflict (since it’s one giant civil conflict), a new assassination system and the incorporation of knights into the character system. Aside from that, and some welcome (and extensive) re-skinning of CKII’s graphics, things play mostly the same as they do in the standard game. Some added, extra events - winter is coming, prisoners demanding trial by combat - are a nice touch. If you’re a strategy game veteran, you’ll have no problems picking this up and enjoying it. Those who are big GoT fans but who haven’t played a game like Crusader Kings II, though, don’t panic; it may look complex, but it’s surprisingly easy to get a handle on, and you can have enjoyable games only knowing the very basics of its structure. Later playthroughs, where you can dig a little deeper, will only get better. You can download the mod here. Note that, being a mod, you’ll need a copy of Crusader Kings II first, which you can get here. This article was originally published in May 2012, but has been updated.